CW Eye is a procedural material shader tree for Blender. 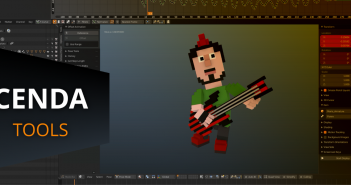 You can create countless eye variations just by changing some values in the shader. Starting at „simple“ human eyes you can create eyes for aliens, zombies or whatever you imagine. A lot of options are supported, like veins intensity, iris size or multiple eye patterns and colors. Pretty cool! Any way to make cat eyes with the narrow pupil? If so that would make this complete and I would More than likely buy it. Currently there is no way to deform the procedural texture to create cat or goat eye shapes, which are even harder to form procedurally. A workaround would be to create the eye style with CW Eye and bake the colour information to a mesh that can be deformed later to the needed animal eye shape. But I have plans tho improve the material and one of the challenges is a deformable pupil. But I can't tell you a release date yet. Oh ok. I am not sure about the goat eye deformation, but this is the Node setup I have used to create the cat pupil. I will play around with some nodes to see about the goat eye deformation. As for the goat pupil you can probably continue to duplicate procedural spheres along the axis with the ones in between stretches horizontally. Thank you four sharing your ideas. Nice work. The point are not creating the shapes. The problem is to create a gradient ramp that morphs to the center and begins at the outer iris circle and ends smooth in the cat / goat pupil shape. This must be dynamic. As soon as the user deform the pupil the gradient moves too. 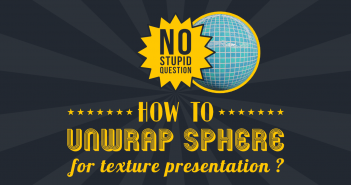 Next Article How to unwrap shere for texture presentation?